It’s hard to take anything seriously in Korea. Been here years ago but I continue to be amazed how Korea has “reinvented” itself. It is, after all, the “Land of Gwiyomi” . As one friend describes it, the “land of cute-ness”. K-Pop, K-Fashion and Psy’s Gangnam style. How long has it been since my first trip in the 80’s? Then, as is now, FOOD and NATURE are major considerations and attractions. Neither can it be denied that Korea is so rich in art, culture and history. But there’s more NOW that’s drawing in more tourists to this country. 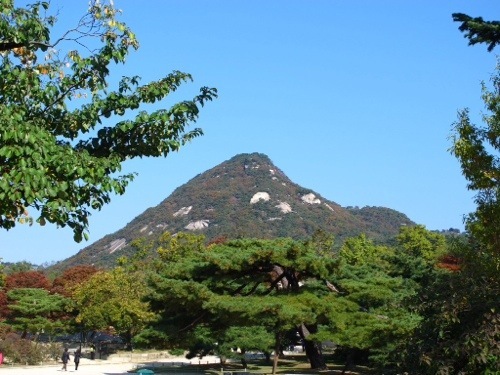 The ‘”Flower of Fortresses”, Suwon Hwaseong Fortress. 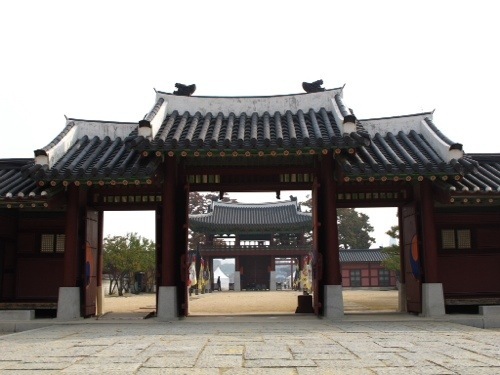 One of many gates to the Suwon Hwaseong Fortress. 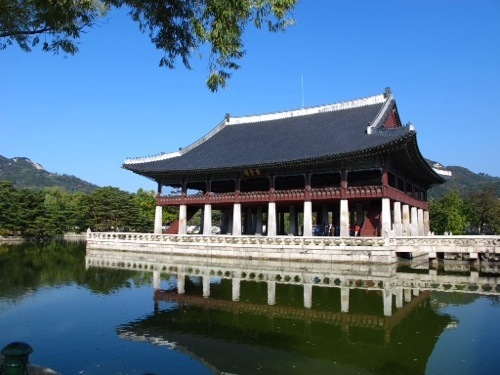 Outside of the world-class theme parks and awesome natural wonders, Korea’s rich history finds a solid spot in its well-preserved palaces and fortresses. 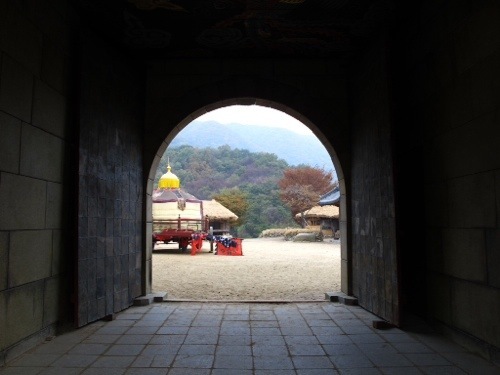 Many have visited temples and palaces to be found in Seoul, but I find those outside the capital even more charming. 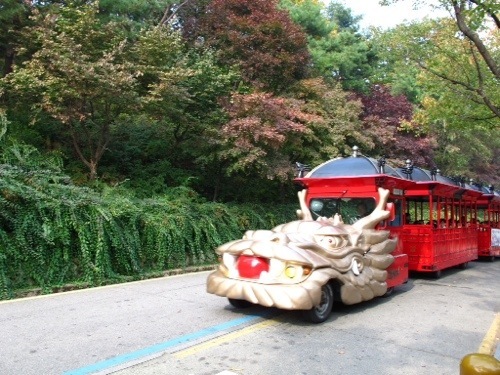 In Suwon Hwaseong Fortress, we found more local tourists and schoolchildren out on field trips. Much rehabilitation effort was spent here especially on the 200 year old circular wall spanning nearly 6 kilometers. Although reconstructed, the fortress is listed as a UNESCO World Heritage Site. It is claimed that the restoration of the structures which began in 1975 heeded the details recorded in many books on the “Flower of Fortresses”. Such adorable Korean kids. One big hug! 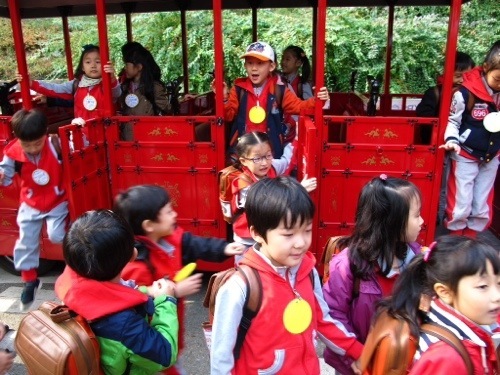 The Dragon Train unloaded a bunch of schoolkids before taking us all in for a ride around the walled fortress to check out the 4 main gates, sentry posts, centuries-old temples, towers, and command posts. We comfortably took in all the sights in the comforts of our seats on the cute-sy train. 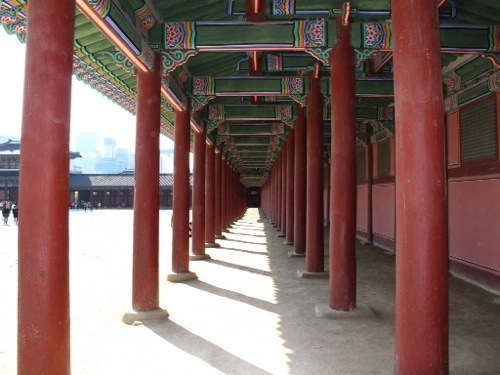 Not so when we visited the Gyeongbokgung Palace in the city center. Though manageable, we walked across and around this large palace complex which also houses the National Museum. But it was a leisurely walk around this lovingly-restored palace. It’s hard to miss as it is right smack in the capital in the vicinity of the Presidential Blue House. Not a mountain park. This shot was taken from Gyeongbokgung palace grounds. MBC Dramia. Wish I know them Korean TV stars! There was no escaping more of these spiels though when we arrived at the MBC Dramia. Think Universal Studios ……. 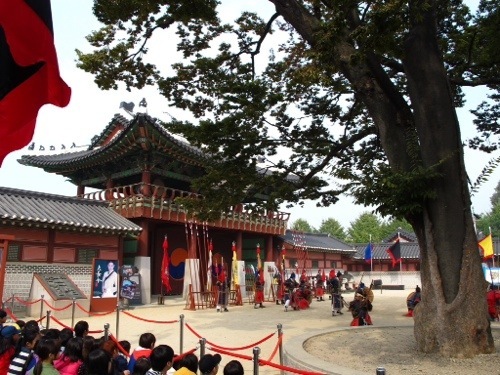 But movies loaded with history and showcasing Korean traditions and crafts. 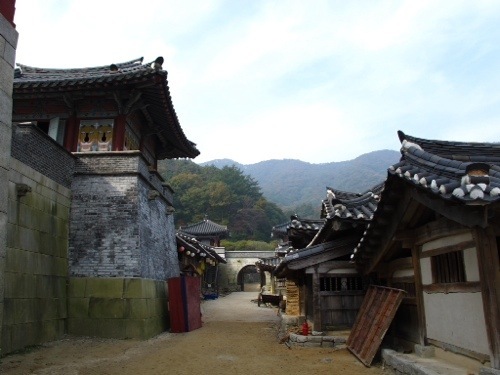 We meandered around folk villages, traditional and royal kitchens, korean architecture, arts and crafts. There were standees of popular movie and television stars to remind where such and such scenes were filmed. Wow. These koreans surely know salesmanship. I’d even go as far as saying that they have elevated the art of salesmanship to a higher level. Talk about raising the bar for branding and marketing! Recreated palaces and folk villages inside MBC Dramia. If you’re a fan of Korean TV drama series, this should remind you of many scenes. Palaces restored. Fortresses rehabilitated. Arts and crafts preserved. 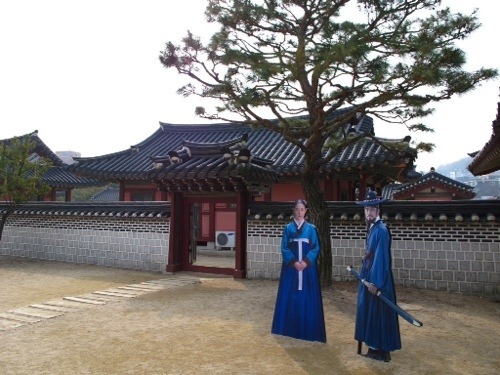 Historical sites, Korean architecture & traditions lovingly recreated. Cute-sy theme parks, museums and galleries created and reinvented. Shopping and dining experiences brought to new levels. Natural wonders preserved and respected. And how about Incheon International airport? This is Korea? I’d go back in a heartbeat! 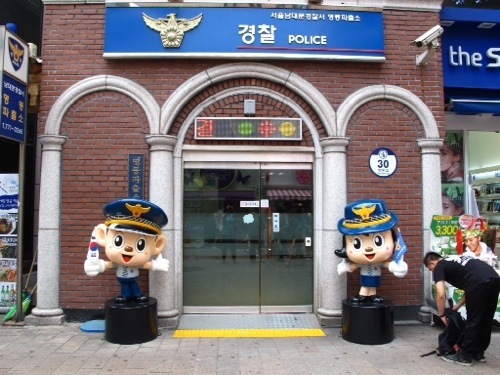 I’d say…… The cutest police station in the whole world.